27th of August marks the opening day of ONS 2018. To Lyse, the ONS is a relevant and interesting arena where we can present our company and our solutions to a wide audience. We are located in the Clean Energy Park, right next to the Centre Court. 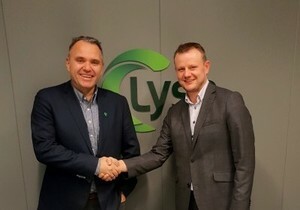 Lyse has been a part of several of the planning committees and will contribute in Teacher´s Classroom with Dagfinn Wåge, head of FoU and Innovation, and in the Centre Court with Toril Nag, EVP of customer services and telecommunication. Lyse is also one of the main sponsors of ONS Young. ‘Innovate’ is the main theme of ONS 2018. 17th of September marks the date of the opening of our new hydro power plant, Lysebotn 2. To show and dramatize the balance between Lysebotn and Europe, Eskil Rønningsbakken will perform on our stand twice a day. - This will amplify our story on how Lyse and Norwegian hydro power can make a difference to create a future greener Europe, says Marianne Langeland, event manager in Lyse. Rønningsbakken will perform at 10:30 AM and 1:30 PM every day. We forward to seeing you at our stand.